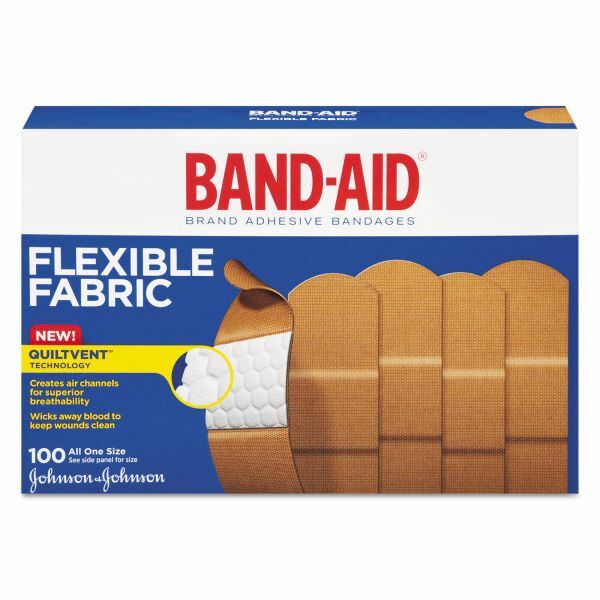 Bandages have extra tough durable fabric. Flexible fabric bandages attach with adhesive. 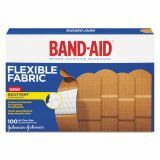 BAND-AID Flexible Fabric Adhesive Bandages, 1" x 3", 100/Box - Extra-tough fabric adhesive bandage conforms to fit. Stretchable, durable material moves with wearer. Ideal refill for first aid kits.